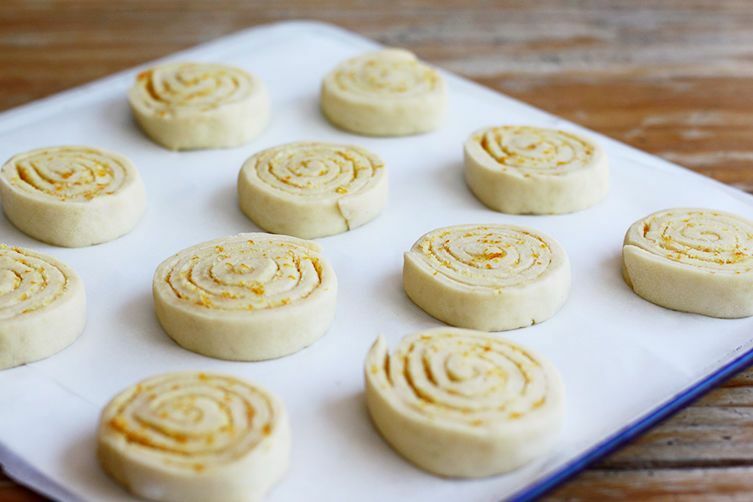 Today: These sweet Orange Pinwheel Pastries (Arancini di Carnevale) have the potential to upstage the fried rice balls you think of when you hear arancini. When most people hear the word arancini, they think of Sicily's famous rice balls stuffed with meat ragu, crumbed, and deep fried. 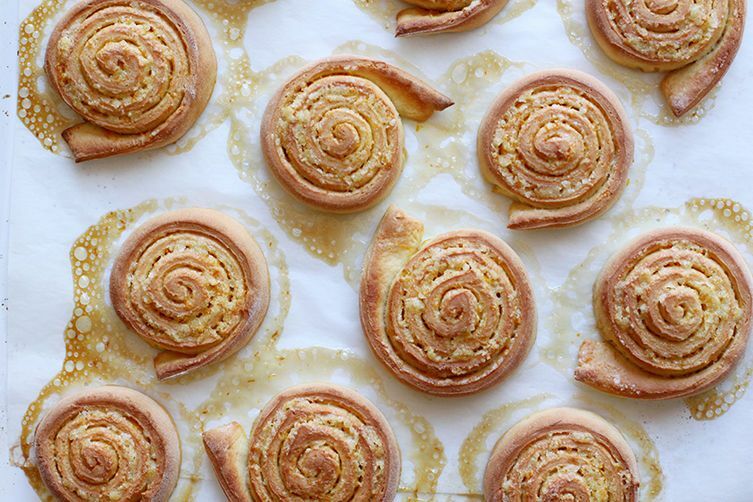 Less known are these special pastries from central Italy's Le Marche region. 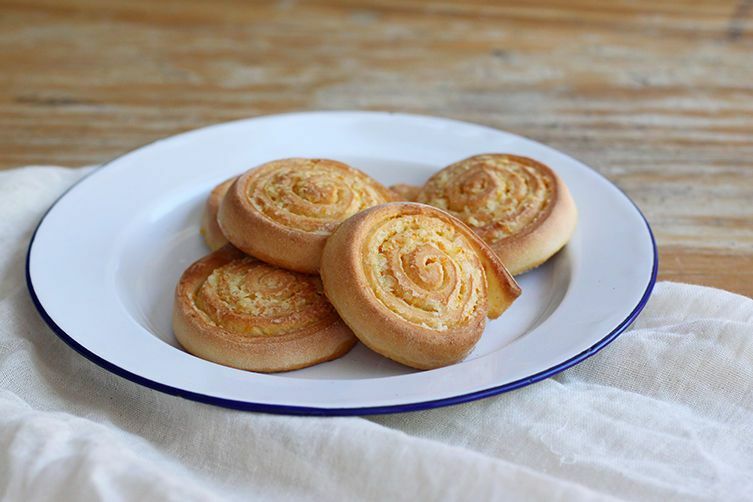 Both specialties get their name from arancia, Italian for orange; the former because of their round shape and golden color, the latter because of the intensely perfumed orange sugar that's rolled inside the sweet dough of these pastries. They are made especially during Carnival season (Carnevale in Italian), a special time typically in February that includes an indulgent, lavish, and festive period of eating before the fasting period of Lent, which leads up to Easter. The ancient Christian tradition almost always includes rich (and usually fried) sweets. Meat, dairy, and eggs were traditionally forbidden foods during Lent (the name Carnevale itself comes from the Latin words for "meat" and "to remove"), so Carnival sweets are usually rich doughs made with plenty of eggs, butter, and milk, deep fried in lard (today, more commonly, oil). In Tuscany, you'll find these are things like Frittelle di Riso (Rice Pudding Fritters), Florence's Schiacciata alla Fiorentina, or deep fried, twisted strips of pastry known in various places as chiacchere, frappe, or crostoli. More: How to whip up almond meal at home. Sounds divine! Thanks so much for the recipe. For this particular recipe, do you recommend bread or all purpose flour. plain, all-purpose flour is just fine!